It's so nice to have a Home Entertainment that you enjoy and that you're proud of, but all of the fun quickly disintegrates when your beloved TV is damaged by a storm or other natural disaster in Railway Estate. This can be very inconvenient and distressing, but it can also put a big hole in your pocket if you spent a lot of money on a nice TV and then you have to pay for the repairs or get everything repaired. Or maybe you don't. If your home and contents are covered by insurance and you submit a detailed Damage Report to your insurance company then you might be able to get some of your money back. But what if you have no idea how to do a damage report? Well, that's where TV Magic Railway Estate. Who Do You Call When Your TV Get's Damaged? TV Magic Railway Estate of Course! If you've had storm or flood damage, then you'll have a lot on your mind, and, depending on how much damage has been done, you are probably too overwhelmed to be thinking about doing Damage Reports. That's why, at TV Magic Railway Estate, we make life easy for you and give you peace of mind by getting that Damage Report done properly for you. 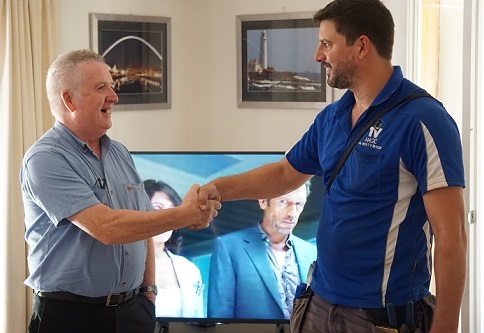 We work alongside most major insurance companies to help people just like you when you have TV damage from storms or floods. It's stressful enough to have to deal with the repurcussions of a natural disaster without worrying about the complexities of an insurance claim, so why not give yourself a break and let us do it for you instead. Call TV Magic Railway Estate today!